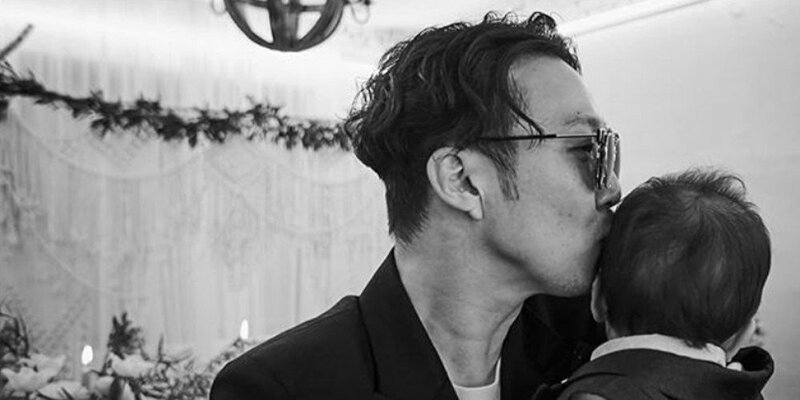 On March 22, Haha and Byul's second son Soul celebrated his 1st ever birthday! "Soul, happy birthday. Time flies so fast. Mom and dad. Are living harder today than we did yesterday, because we have you and Dream hyungah, who wouldn't hurt us even if we put you in our eyes. A healthy person in body and heart. Grow up to be a moral and warm child. It's okay if you're not good at studying. Mom and dad will always help you so that you can find something you can have fun and be happy while doing it. Just be good friends with Dream hyungah. Love each other, cherish each other, and grow up as the most beautiful siblings.. who are over 180cms tall..!!! Kekeke." It sounds like HaHa and Byul won't mind if their sons Dream and Soul doesn't turn out to be model students in school; the couple's biggest wish is for them to be tall! ??? ?????. ??? ?? ????. ?? ??. ??? ?? ??? ??? ???? ?? ????? ??? ??? ???? ?. ??? ?????. ?? ??? ?? ???. ??? ????? ????. ?? ??????? ??? ?? ???? ?? ??? ??? ????. ??? ??? ?. ?? ??? ????? ??? ??? ?? ??? ?? ?????. ????? ????. ?? ???? ???? ?? ?? ?? ???.. 180??? ???..!!! ??? . ??? ??????? . #??? #????? #????? #????? #??? #?????? #2? #????? #???? ?